The Court is a not-for-profit community arts and culture magazine. 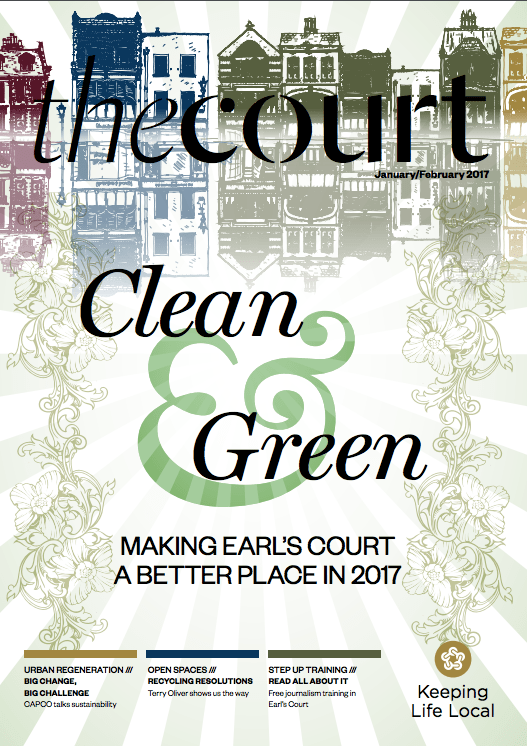 It is fully managed and administrated by Earl’s Court Community Trust (ECCT), and the publication, and the initiatives that surround it, are a central part of the Earl’s Court community. The accompanying website is www.thecourt.london. The Court is a single focal point for local arts and culture, but is rapidly becoming a much needed opportunity for residents and businesses to promote their activities to external audiences – not just in the borough, but beyond to a broader London audience, with the business-generating benefits this entails.